DIY: Six egg hair conditioners. – Hair conditioners! Do they work? Product comparison! Being disappointed with costly hair nourishing treatments and wasting great amounts of money on expensive hair caring products, we come to the conclusion that natural hair pampering methods are the best ones. Because of all of these, we are becoming more and more eager to find this old notebook of our grandma’s and reapply the age-old, simple and well-proven beauty tricks she used to treat the strands with. While thumbing through such notebooks, we can notice that one ingredient is used more frequently than the others. What is this miraculous multi-task item? It is egg yolk! Eggs have been used in cosmetics since the beginning of 20th century, and their primal role was to improve condition of hair. Actually, egg yolk has many precious features; it strengthens, delivers moisture, restores softness, and accelerates hair growth. 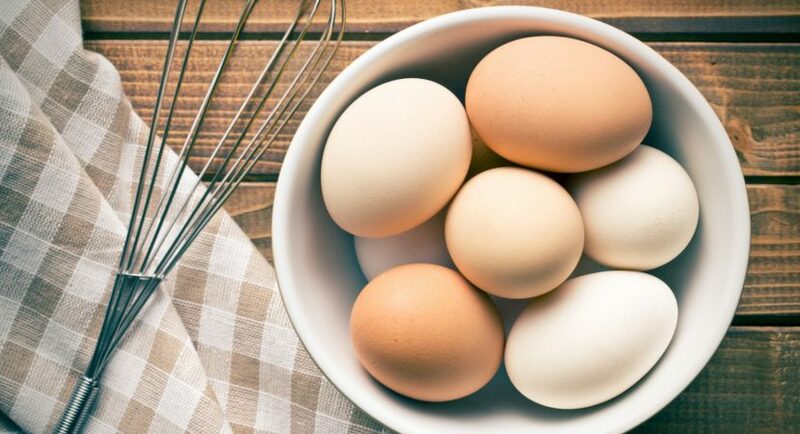 Here are six recipes for the most popular homemade egg hair conditioners. Procedure: Mix all the ingredients thoroughly until even mass obtained. Massage the conditioner into scalp and hair. Wrap hair with a towel and sit the conditioner for approximately a half of an hour. Finally, wash the hair with a delicate shampoo and rinse with a lukewarm water. Procedure: Mix all the ingredients in a small bowl. If the conditioner appears to be too dense, you can add a spoon of warm water. Distribute the conditioner to the length of damp hair and sit for 20 minutes. After that, shampoo hair and rinse it thoroughly. Procedure: Combine both ingredients and apply to hair. For obtaining better results, secure the hair with either a plastic cap or a towel and warm it up with a blow-dryer. Sit it for a half of an hour and rinse with lukewarm water afterwards. Shampoo the hair. Procedure: Mix both ingredients until dense pasta obtained. Apply the conditioner to hair and sit it under a cap or a towel for a half of an hour. After that, rinse with lukewarm water and wash the hair. Procedure: Combine the ingredients until even mass obtained. Apply either to the length of hair or just to the damaged ends. Secure with either an aluminium foil of a plastic cap. Sit it for at least a half of an hour. Basically, the more damaged hair, the longer the conditioner has to sit. Finally, rinse with lukewarm water and shampoo the hair. Procedure: Combine the ingredients and leave aside for a few minutes. Next, massage the conditioner into scalp and hair roots. Mind you, it is not suggested applying the conditioner to the length of hair. Sit the conditioner for a quarter of an hour and rinse afterwards with lukewarm water. Shampoo the hair precisely.